A moving yet uplifting city with some of the best street art in the world, Johannesburg is a brilliant base for your South Africa trip, says Lottie Gross. Most tourism in South Africa focuses around Cape Town, the winelands of the Western Cape, the famous Garden Route and the top national parks like Kruger or the Kgalagadi Transfrontier Park. Of the 10 million visitors per year, over 240,000 head to Cape Town for a breezy coastal escape, but only 108,000 visitors venture out to the country’s largest city Johannesburg. There’s no doubt Joburg, as it’s fondly known by its residents (Joburgers), had a bad rep in the past: it’s regularly cited as one of the world’s most dangerous cities, a “murder capital”, and thanks to Louis Theroux’s 2008 documentary Law and Disorder in Johannesburg its crime rates are inflated in the minds of many. But today, it’s a very different place. An emotionally challenging, but continually uplifting and inspiring city, make time for Johannesburg and you’ll be greatly rewarded. Here are just a few reasons we think you should beeline for Joburg on your South Africa trip. Southwest of the city centre lies a sprawling collection of townships known as Soweto (short for the South West Townships). Officially established in the 1930s, Soweto was the result of racial segregation after thousands of people of various ethnicities moved to the city to work in the gold mines. Today it’s home to well over a million people living across 29 different townships, and it’s the place to go to get your head around South Africa’s painful past, as well as understand how it has shaped the city you see now. Take in Soweto’s main sights on a tuk-tuk tour from Lebo’s Backpackers located in Orlando West. 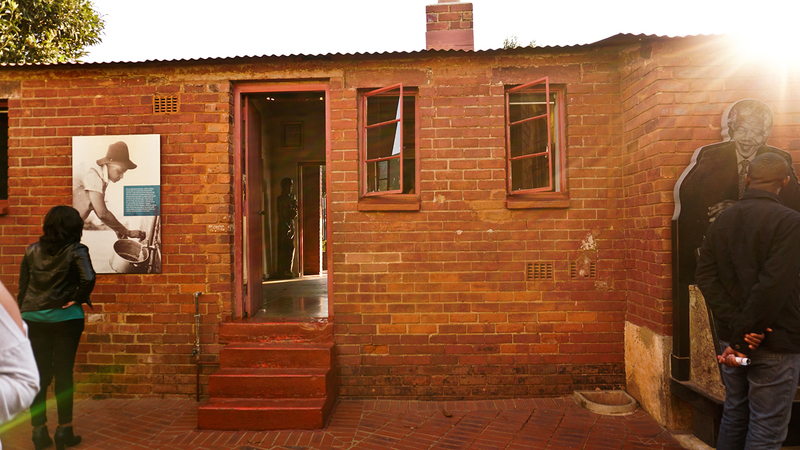 You’ll zip along the streets to get an insight into the area’s past with a guide who has lived in the townships all their life, and no doubt be inspired at the Mandela house and museum at the end of the tour. If art, culture, great food and good shopping are your thing, you could probably spend a whole week in the Maboneng Precinct. 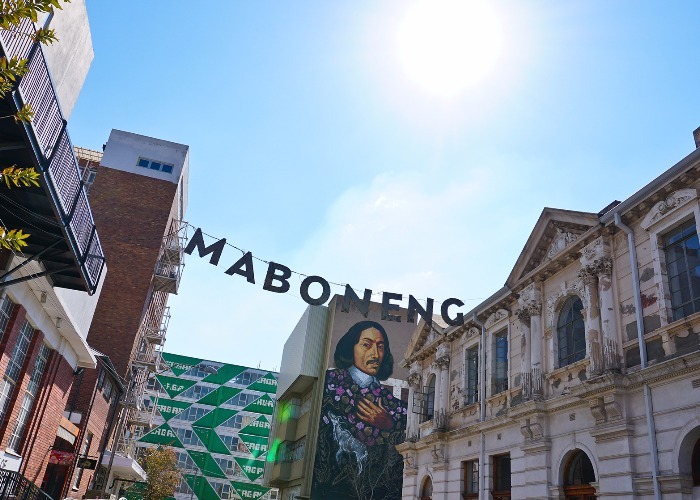 Meaning “place of light”, Maboneng is an apt name for Johannesburg’s most creative quarter. Redeveloped by local entrepreneur Jonathan Leibmann, many of the disused industrial buildings left over from the mining days have now been renovated and turned into apartments (both affordable and high-end) and retail space. It has the feel of New York City’s Meatpacking District and makes for a fun and safe place to stay. We recommend the Hallmark House – a cool, contemporary bolthole based in an old diamond processing plant – or Curiocity Backpackers, located right in the centre of the action on Main Street. Spend a morning at Arts on Main, where locals cook up street food from around the world and sell fashion, jewellery and artworks over two floors, then have lunch at one of the many restaurants along Main Street. 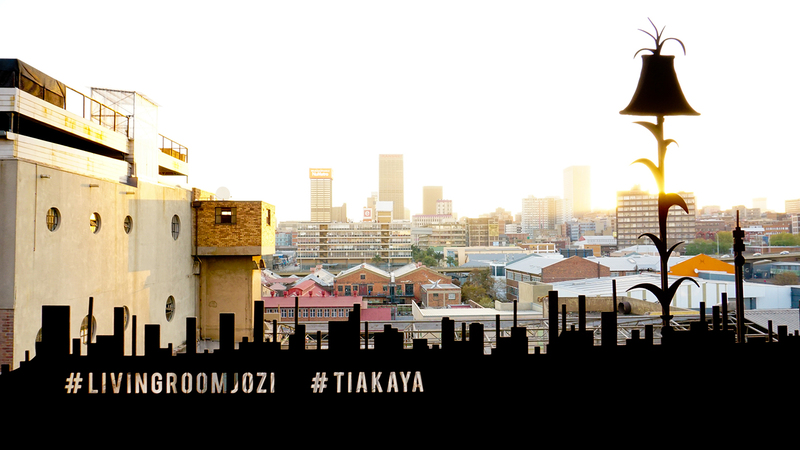 The Living Room is where the locals go for a sundowner, with its views over the concrete blocks that make up Maboneng. To party all night, hit up Marabi Club in the basement of Hallmark House, where you can dance to live jazz and smoke cigars until the early hours. Some say Johannesburg isn’t as beautiful as Cape Town, but this city has a different kind of beauty. Unlike in many big cities around the world, graffiti is actually legal here, so local and international artists have graced many a wall with countless simple tags, elaborate spray-painted murals and brilliant street art. 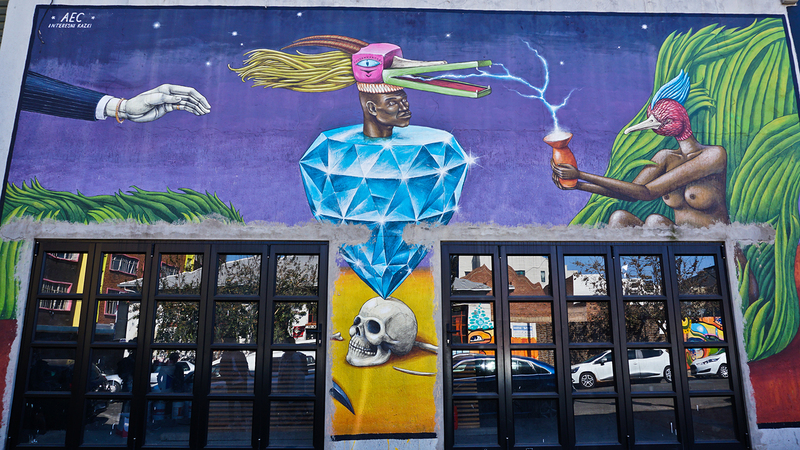 You just need to walk around Maboneng to see some fine examples, but Jo from Past Experiences can give you unrivalled insight into the subculture that is graffiti in Johannesburg. A passionate Joburger, she has not only studied this artform but also knows many of the artists behind some of the city’s most striking pieces. In many places travellers expect to have to stock up daily on mineral water, but here the water is so clean they’ve made souvenirs bragging about it. Joburgers will proudly tell you how clean their tap water is, so ditch the plastic, get yourself reusable bottle and enjoy. It’s delicious, and much better for the environment! 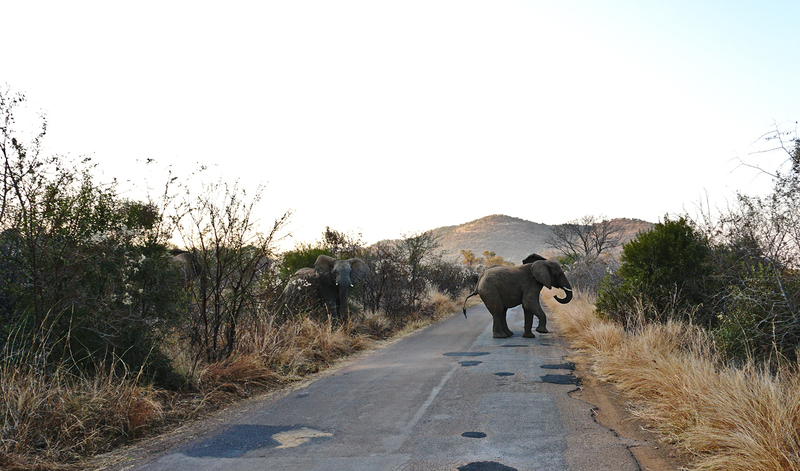 Just a couple hours’ drive northwest of Johannesburg lies Pilanesberg National Park, a nature reserve that’s home to a bounty of wildlife. You’ll have the chance to spot the big five here – that’s lion, leopard, rhino, elephant and Cape buffalo – as well as hippos, giraffes, hyenas and all manner of birds. Early morning and late afternoon safaris from Bakubung or Kwa Maritane bush lodges are your best bet – their vehicles get the best views and the guides are exceptionally knowledgeable. Don’t miss out on a morning bush walk: Bakubung’s brilliant rangers will lead you through the wilderness to track big game on the ground. They’ll teach you all about the flora that plays a vital role in this thriving ecosystem, and if you ask they might just tell you hair-raising tales of their own close encounters with lions and elephants – perhaps best to wait until you’re back in the vehicle for that, though. “Welcome home” is how you’ll be greeted in the Cradle of Humankind, and rightly so. Just over an hour’s drive from Johannesburg’s centre is Maropeng, the official visitor centre for the Cradle of Humankind, where humans’ ancestors have lived for over three million years. 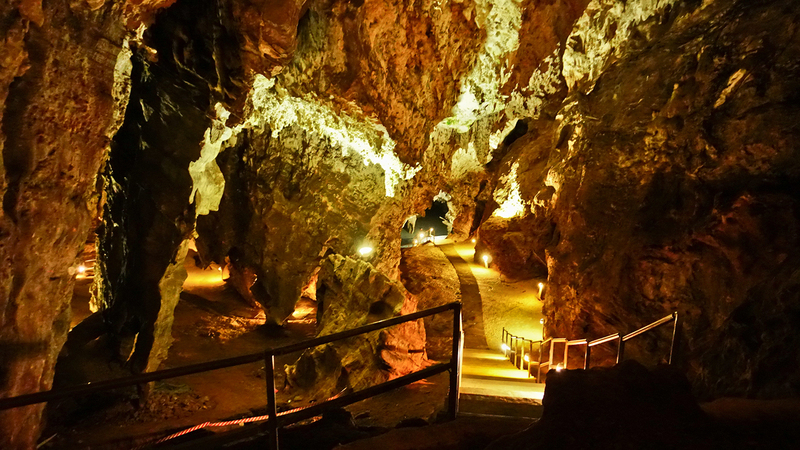 This area is rich with archaeological and geological treasures, including the Sterkfontein Caves, and in recent years huge discoveries have been made. The visitor centre’s main exhibition charts the history of Earth and humanity in an engaging exhibition that will thrill kids as well as adults, but the main event is Almost Human. In 2015, two hobby cavers accidentally discovered a new hominin species which has changed the way we view human history today. Almost Human presents the fascinating journey of these two cavers and the all-female team of archaeologists that extracted the bones from beneath the ground. With interactive elements and films by National Geographic, the compelling exhibition culminates in the largest-ever public display of hominin fossils and is bound to excite any visitor. Three different airlines operate direct flights from London to Johannesburg (that’s two more than the single airline that serves Cape Town directly), and they’re all night flights, meaning you’ll fall asleep in the UK and wake to a wonderful South African sunrise. Book your trip far enough in advance and you can get return flights for as low as £550, as opposed to the £800+ Cape Town usually costs. Use these tips from our experts on how to bag cheap flights.